151 years ago today, Peter Behrens was born in Hamburg, Germany. Noted for his influential role in the development of modern architecture, Behrens was also a pioneer in the field of industrial design. 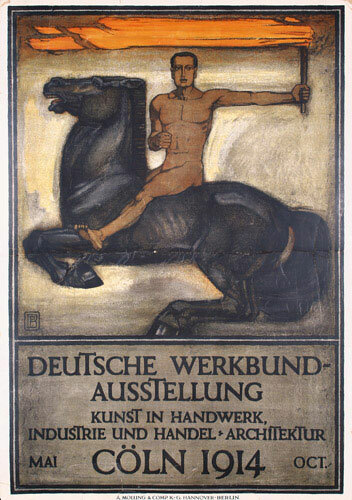 He is perhaps best known as a co-founder of the Deutsche Werkbund in 1907, an association of artists, architects, designers, and industrialists that furthered the development of modern architecture and industrial design and became influential in the later creation of the Bauhaus School of Design. The Hungarian-French artist Victor Vasarely (born: Gyözö Vásárhelyi ) would have turned 111 today. 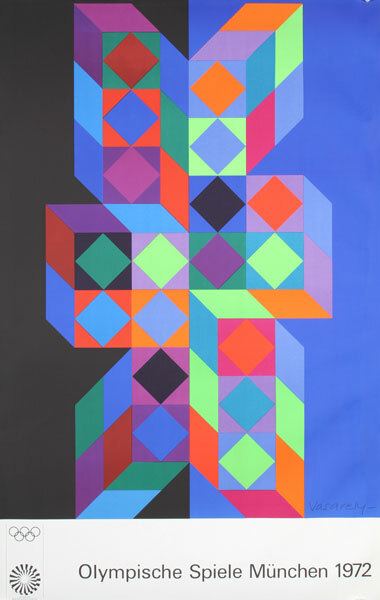 Born in Pecs, Hungary, in 1908, Vasarely began his artistic training in Budapest in the late 1920s. In 1928, he studied the concepts of the Bauhaus working under Sandor Bortnyk at the Mühely Art School. Vasarely moved to Paris in 1930 and became an independent graphic designer. His early work was characterized by strong black and white contrasts. In the late 1940s, Vasarely developed his own geometric abstract style exploiting the deception of the human eye using forms of geometry and color nuances to trigger striking spatial effects. This led to the formulation of the principles of the short-lived Op Art movement in the early 1950s for which Vasarely is probably best known. In 1970, Vasarely opened the first museum dedicated to his art in Gordes, France (it closed in 1996). In 1976, he founded the Fondation Vasarely in Aix-en-Provence (housed in a building designed by Vasarely). In 1976, the Vasarely Museum was established in the artist’s birth-town of Pécs. A second museum in Zichy Palace in Budapest followed in 1987. Victor Vasarely died in Paris on March 15, 1997. National Beer Day is observed annually on April 7th. The world’s oldest beverage might date back as far as 9500 BC when cereal was first farmed, so recorded in the written history of ancient Iraq and Egypt. Beer is the most popular alcoholic beverage worldwide and is surpassed in consumption only by water and tea. 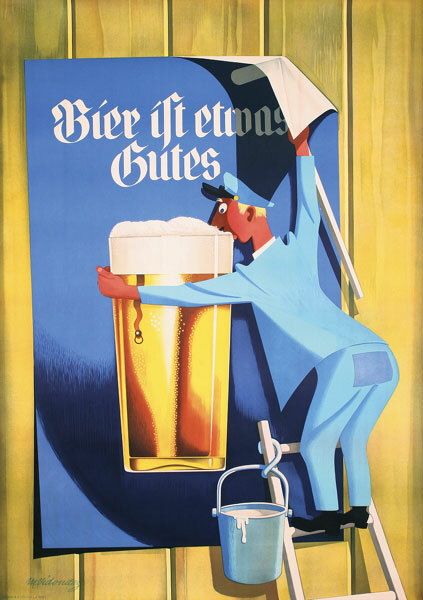 In March of 1933, President Franklin Roosevelt signed into law the Cullen-Harrison Act which legalized the sale of beer after 13 years of Prohibition in the United States. The law came into effect on April 7 which henceforth became known as National Beer Day. 123 years ago today, 241 athletes from 14 countries took part in the first modern Olympiad in Athens, Greece. 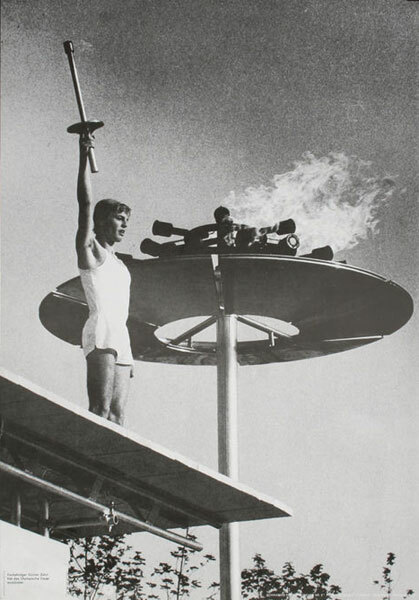 The event took place over 1500 years after the last ancient Olympic Games, which originated in Olympia in south-western Greece. 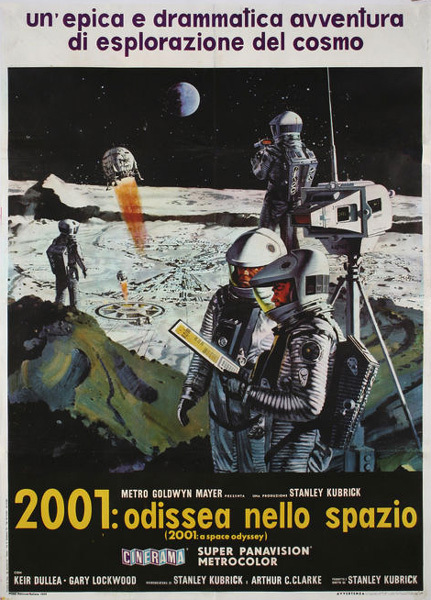 Stanley Kubrick’s epic about human evolution, technology, and extraterrestrial life has polarized audiences and critics alike. Today, it is widely regarded as one of the greatest and most influential films ever made. 89 years ago today, the German movie Der Blaue Engel (The Blue Angel) celebrated its premiere in Berlin and introduced the world to a new movie star, Marlene Dietrich. The opening was completely sold out, possibly helped by rumors that the movie may not have been allowed to be shown at all due to its disreputable plot: a disciplinarian professor falling for a cabaret singer. Josef von Sternberg was brought in from Hollywood to be the film’s director; Emil Jannings, who had just won an Oscar, was hired to play the professor. But filling the role of cabaret singer Lola-Lola turned out to be more problematic. Sternberg wanted Metropolis star, Brigitte Helm but she was booked; Jannings preferred theater singer Lucie Mannheim but Sternberg considered her too serious. Author Heinrich Mann would have liked to have seen his girlfriend Trude Hesterberg in the role but she was not sufficiently well-known. Enter Marlene Dietrich. Supposedly, Sternberg was immediately fascinated by this inexperienced woman from a local drama school. It seems that the young Dietrich embodied Lola-Lola, a seductress with the longest legs and the right smile. It is said that Dietrich did not even prepare a song for her first audition, telling Sternberg that she assumed she would not be seriously considered for the role. Her flippant behavior intrigued the director and because Dietrich was behaving like the film character Lola Lola, she was hired. Nobody could have predicted the film’s enormous success. A new star was born and immediately following the triumphant premiere in Berlin, the blue angel and her director went off to pursue a career in Hollywood. 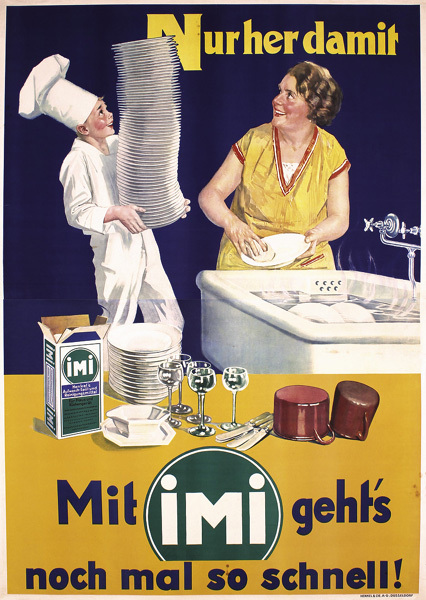 130 years ago today, the first dishwashing machine was marketed in Chicago, Illinois. Josephine Cochrane patented her invention in 1886. A wealthy socialite, Cochrane designed the dishwasher because she was tired of her best china being chipped by the hired help. Cochrane’s dishwasher company eventually became KitchenAid. Cochrane died in 1913 at the age of 74.